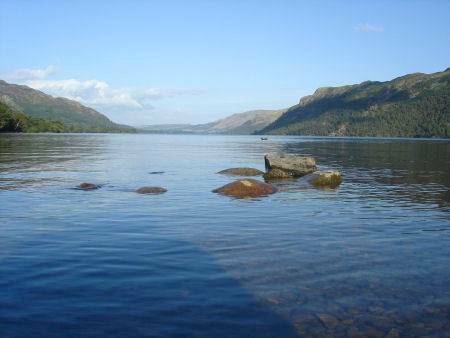 Panoramic Ullswater, set in a dramatic ampitheatre of mountains, is a lake of many moods. 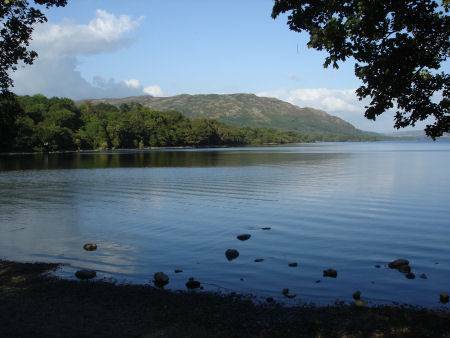 The Lake acquired its name from an early visitor- Ulf the Viking. 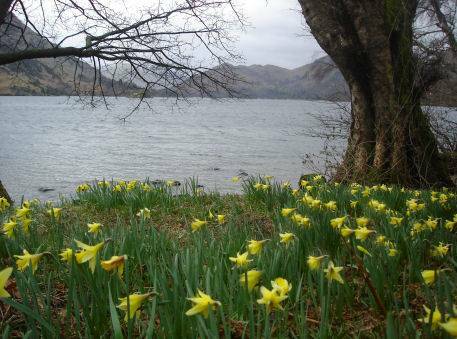 Ullswater provided the inspiration for Wordsworth's most famous poem 'The Daffodils', written after he and his sister Dorothy went on an expedition to Gowbarrow. 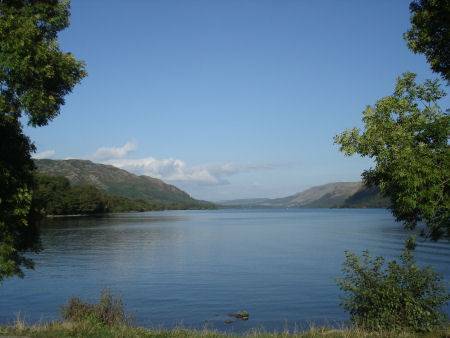 Ullswater is the second largest stretch of water in the Lake District, its sinuous shape stretches for seven and a half miles and the lake is three quarters of a mile at its widest point, it comprises of three separate, unequal sections. 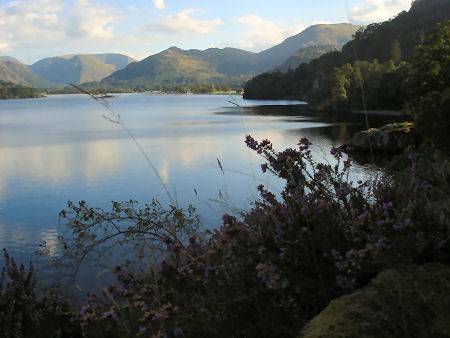 It is regarded as one of the most beautiful of the English lakes and has been compared favourably to the Swiss Lake Lucerne. 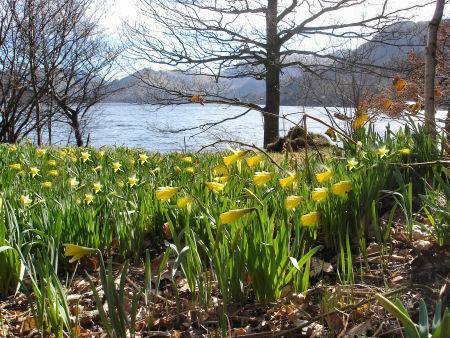 Most of the bed of Ullswater is owned by either the Dalemain Estates, The National Trust and the Lake District National Park Authority; most of the shoreline is privately owned, however there are various points around the lake where the launching of sailboards and small craft is allowed. Rowing boats and small motor boats (maximum speed 10mph) are also available for hire at Glenridding, Pooley Bridge and Watermillock. 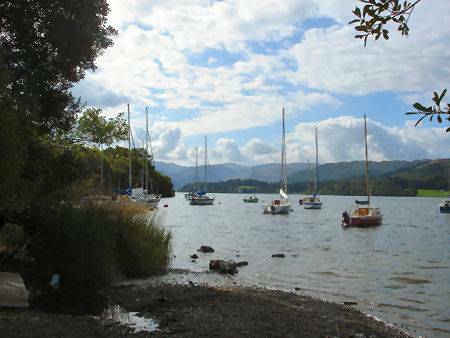 There are also sailing, canoeing, kayaking and wind surfing on the lake, equipment for which can be hired at Glenridding. A Victorian steamer service operates from Glenridding in the south to Pooley Bridge in the north, stopping in the summer at Howtown. 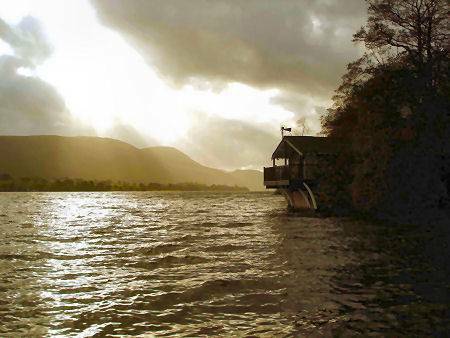 The Ullswater steamers have a saloon bar offering refreshments. Daytime and evening cruises are available. The lake is fed by a number of streams, Grisedale Tarn Beck, which brings water down from Dollywagon Pike and Fairfield and Glenridding Beck, which flows from Red Tarn on Helvellyn and further to the north by Aira Beck, which has a spectacular 70' waterfall Aira Force which can be accessed from a car park on the A592 close to the lake shore. 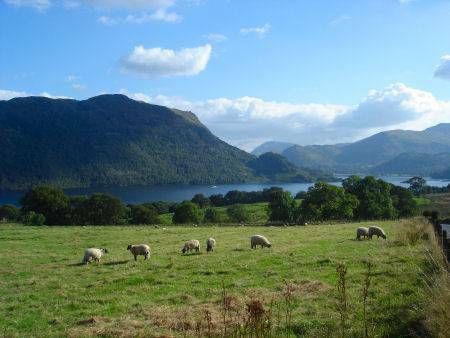 Ullswater is a typical Lake District narrow "ribbon lake" and was formed after the last ice age, when a glacier scooped out the valley floor, the deepened section filled with melt water when the glacier retreated, forming the lake which takes the form of an elongated 'Z'. 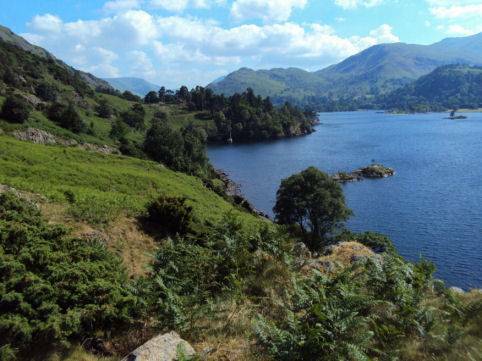 *This walk along Ullswater's eastern shore entails a return trip on the Ullswater steamers. Please ensure you leave enough time to catch the last trip back (5.05pm or 5.25pm in summer and 3.20pm in winter). 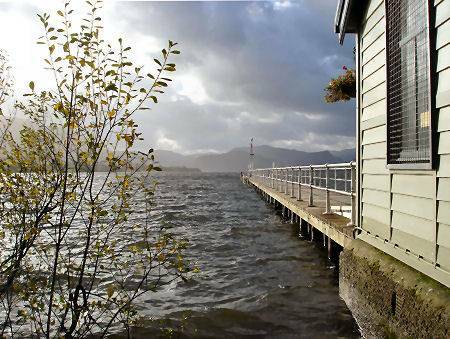 *Commencing at the pier at Glenridding, check the steamer timetable at the pier, and continue along the shore, and then along the main road towards the nearby village of Patterdale. *On reaching a sign on the left for Side Farm, Follow the track through the farm, behind the camp site. 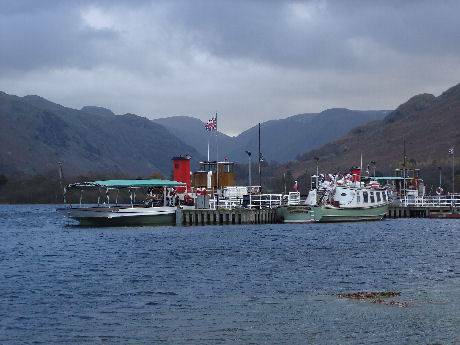 *The steamer service runs from Howtown Pier back to Glenridding every day except Christmas and Boxing Day.